This Pumpkin Pecan Cobbler has better for you ingredients like gluten free flour, baking powder and organic products like pumpkin, pecans, pumpkin spice and more! This recipe is brought to you by iHerb, the #1 choice for natural products. There are affiliate links in this post. If you purchase any products, I will receive a small commission fee at no extra charge to you. 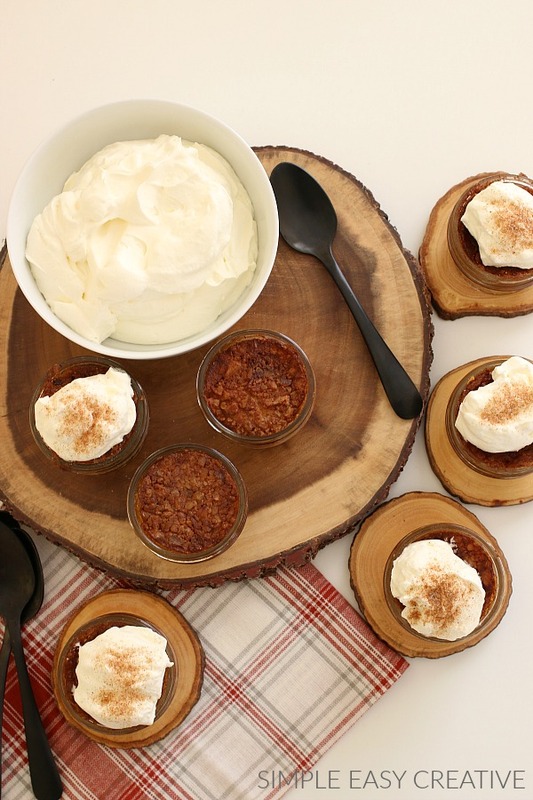 The Fall season, right through the holidays scream for pumpkin dessert! Whether you are hosting a party, family get-together or want a special dessert for a weeknight meal, this Pumpkin Pecan Cobbler is perfect! What’s the difference between a cobbler and crisp? Cobbler typically has fruit on the bottom and is topped with a batter or biscuit crust. This Pumpkin Pecan Cobbler is a bit different because the batter is mixed in with the pumpkin, and while baking, along with the pecan topping, creates a crust on the top. Crisp also has fruit on the bottom, however it has a mixture of sugar, flour, nuts and butter that combine a crunchy topping. Don’t let the list of ingredients scare you away from this recipe, cobbler is one of the easiest desserts to bake. 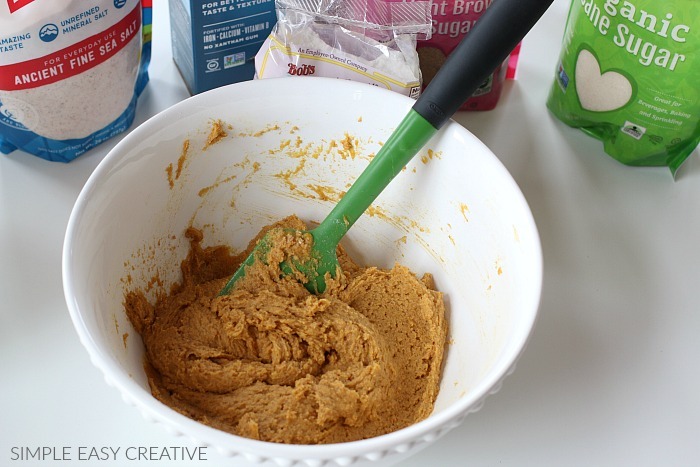 You will need – flour, sugar, brown sugar, baking powder, pumpkin spice mix, salt, pumpkin, butter and vanilla extract. 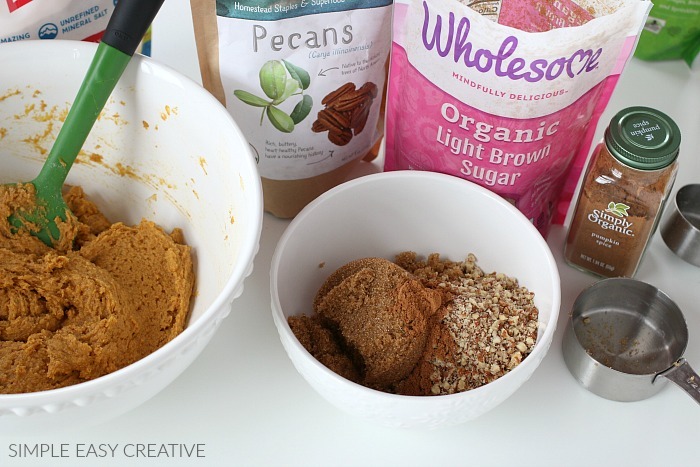 And for the topping you will need brown sugar, pecans and pumpkin spice mix. 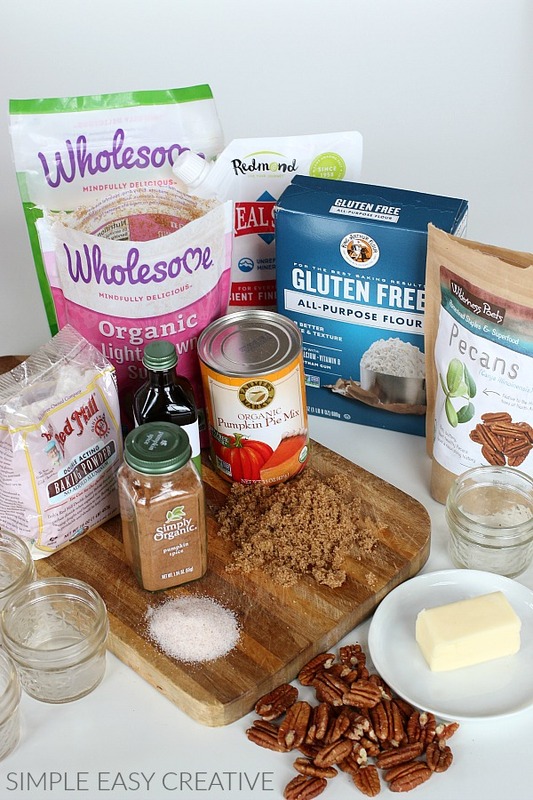 All of these organic and gluten free products are from iHerb. They offer natural products that are fresh with a triple guarantee. After placing my order, in less than an hour, I received an email saying that my order had been processed and shipped. The order came quickly as well. Along with groceries, iHerb also offers, health and beauty products, pet food and supplies, items for your home like cleaning supplies and essential oils. They also carry a wide variety of supplements, herbs and much more with over 30,000 products including over 5,000 grocery products that can be shipped to over 150 countries. Their Customer Service tam also provides support in 10 languages. Baker’s Tip #1 – Pumpkin Puree or Pumpkin Pie Mix – the difference between pumpkin puree and pumpkin pie mix is the sweetener and spices. In the Farmer’s Market Organic Pumpkin Pie Mix that I used in this recipe, it already has organic cane sugar and spices added. However, with that being said – I did try the recipe using the pumpkin pie mix as well as pumpkin puree, and honestly I could not tell a difference. I did add the pumpkin spice mix to both recipes, and they both tasted fine. 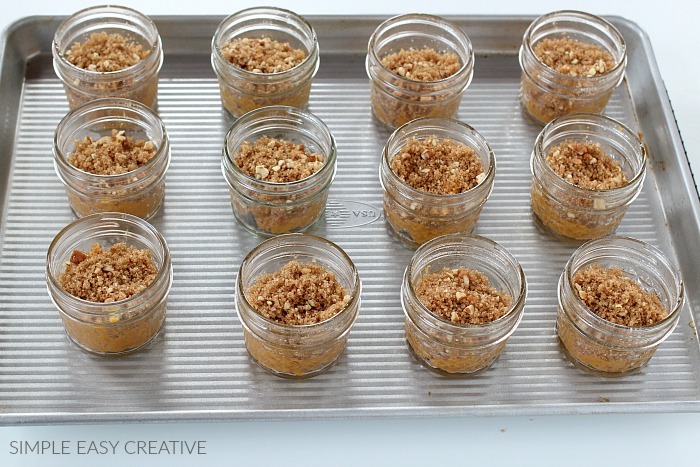 Baker’s Tip #2 – Individual jars or Baking Dish – this recipe can be used either way. 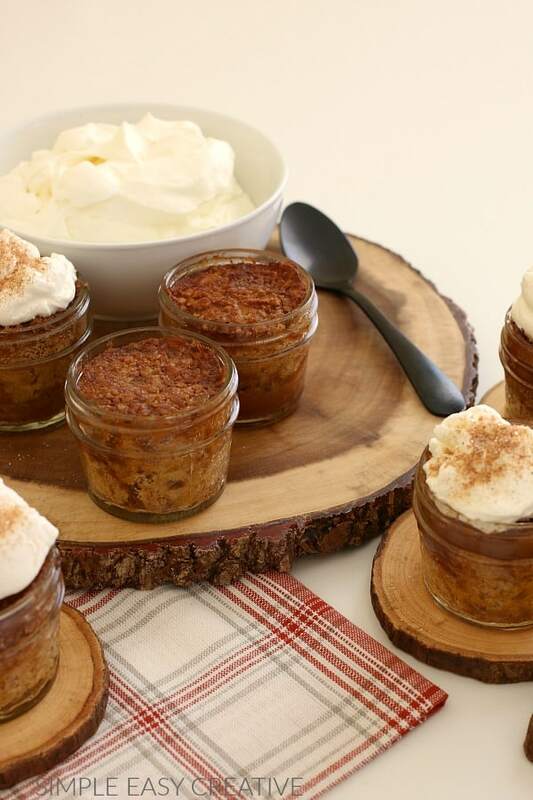 I like serving individual jars with dessert, especially at a party, however you can easily bake this same recipe in a 9 inch square baking dish. 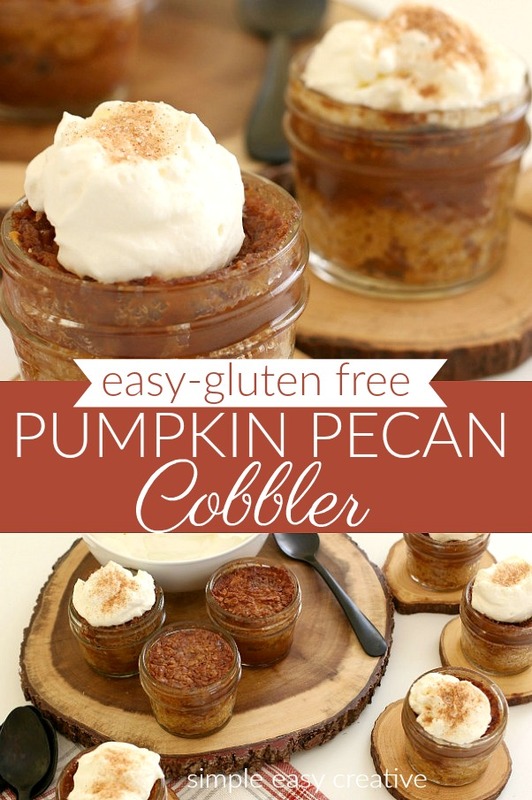 Baker’s Tip #3 – Gluten Free ingredients – all of the ingredients that I used in this Pumpkin Pecan Cobbler are gluten free and organic, from iHerb. While I have not been formally diagnosed, I find that I do feel a lot better when I avoid eating gluten. While I know that sounds really strange with the amount of baking I share here, it’s only been the last year or so that I have discovered this. So you will be seeing more and more “better for you” baking recipes. You can easily swap out the gluten free ingredients with regular. Baker’s Tip #4 – Hot Water – the batter for the pumpkin cobbler is thick, by adding the hot water it creates a caramel sauce at the bottom. Baking in the small jars, did not give a lot of caramel sauce, it definitely did have some. Baking in a dish will give you more sauce on the bottom. Baker’s Tip #5 – Make Ahead – you can certainly prepare the batter for the pumpkin cobbler a day ahead, store in an airtight container in the refrigerator. Then bring it to room temperature on the counter before baking. Then add the pecan topping and hot water right before baking. Depending on the temperature of the batter, you may need to bake it a bit longer. 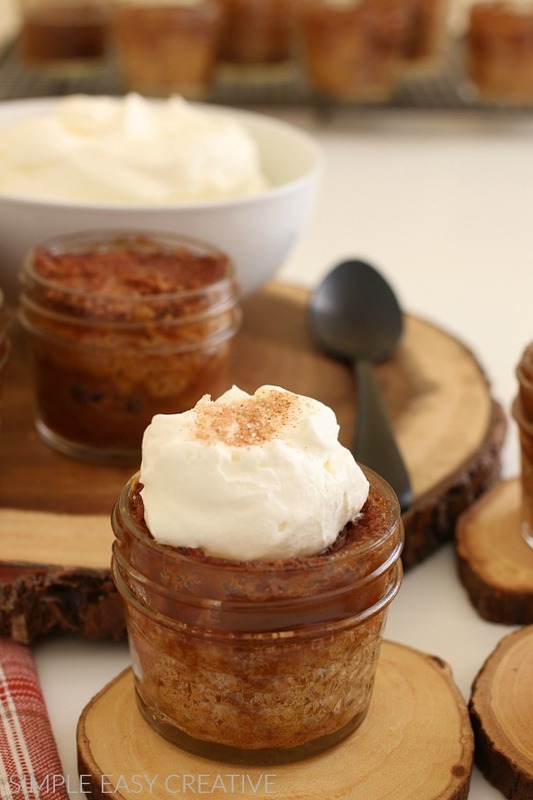 Baker’s Tip #6 – Serving and Storing – I like to serve the pumpkin pecan cobbler warm with a dollop of fresh whipping cream. You can also add ice cream and a drizzle of caramel sauce, that would be delicious! To store, cover with plastic wrap and place in the refrigerator. 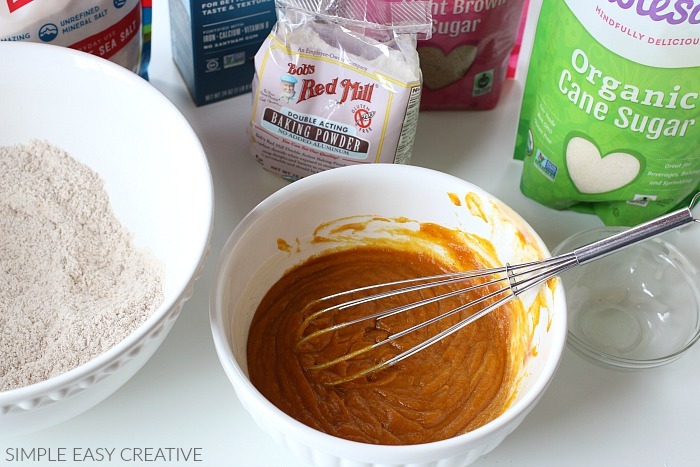 Add all the dry ingredients to large bowl – gluten free multi-purpose flour, sugar, brown sugar, baking powder, salt and pumpkin spice. Whisk together the dry ingredients until well combined. Measure the pumpkin and add to a small bowl. Combine the wet and dry ingredients until well combined. The batter will be thick. In a small bowl, combine the chopped pecans, brown sugar and pumpkin spice. You can substitute walnuts for the pecans if you like. 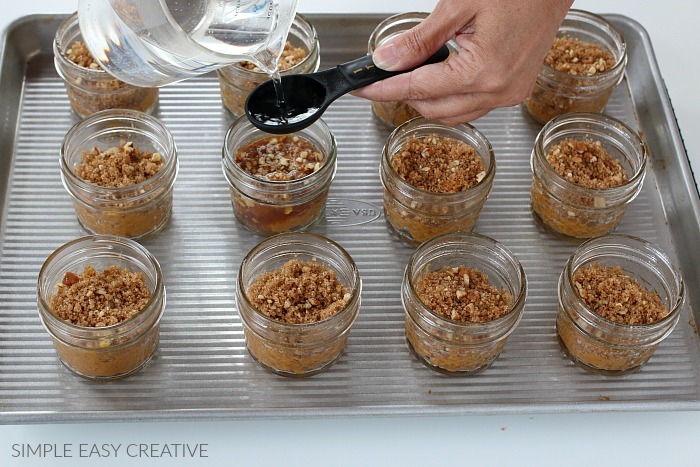 Divide the batter into 4 ounce mason jars. Using a cookie dough scoop makes it super easy. I used a 2 tablespoon scoop, and added 2 heaping scoops to each jar. Then sprinkle the topping over the batter, adding about 2 teaspoons to each jar. Add 2 tablespoons hot water to each jar. Be sure to check out my tip above on why it’s necessary to add the hot water. And then it’s time to bake. The individual jars baked for 30-35 minutes, if you are baking in a square dish, bake for 45-50 minutes. 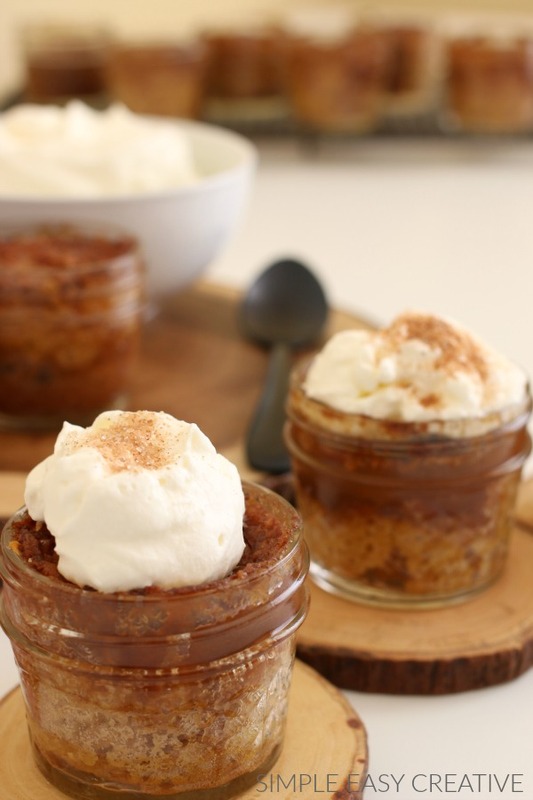 This easy to make Pumpkin Pecan Cobbler is great for parties, and easy enough for weeknights. 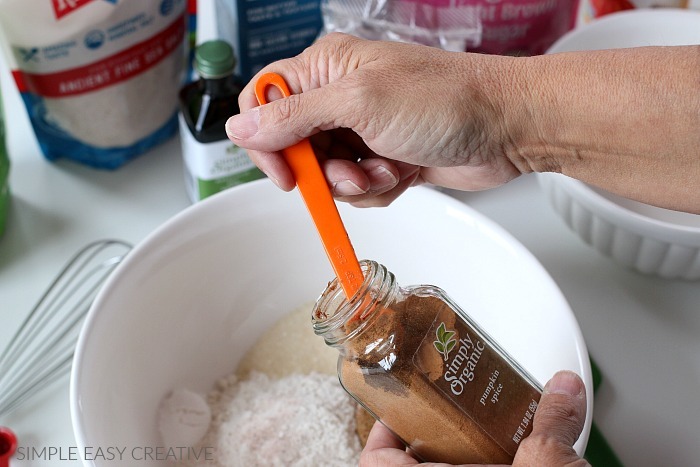 In a large bowl combine dry ingredients - flour, brown sugar, sugar, spice mix and salt. Whisk together. 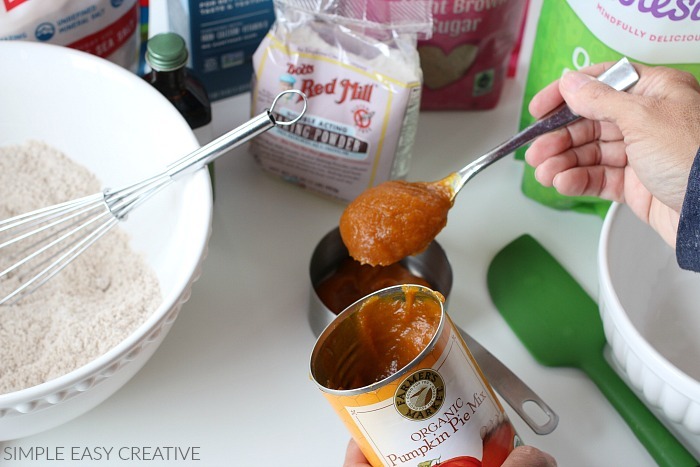 In a small bowl combine wet ingredients - pumpkin, butter and vanilla extract. Whisk together. Combine the dry and wet ingredients until well combined. Add 2 heaping scoops (cookie dough scoop) of batter to each jar. If you are not using a scoop, add about 1/4 cup of batter or divide batter evenly. For baking dish - use 9 inch square dish. 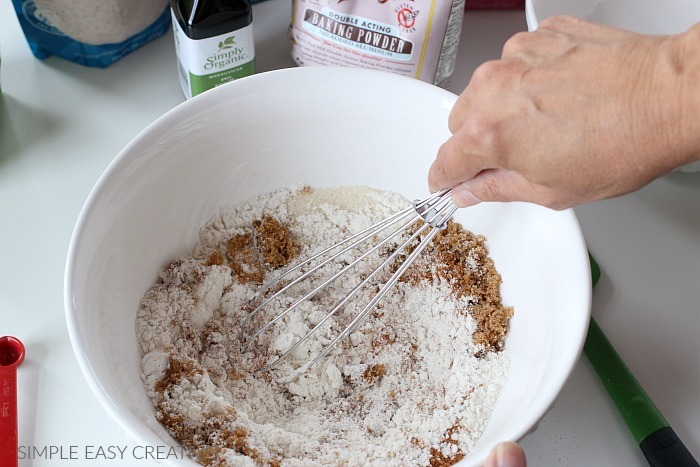 Follow directions when mixing, add batter to dish, then sprinkle with topping. Add 1 1/2 cups hot water.